Background: Gastrostomy tubing is widely accepted as the best route for enteral feeding especially in advanced cancer patients those are preparing for locoregional and systemic treatment. The conventional Percutaneous Endoscopic Gastrostomy (PEG) might not allow to be introduced in the patient with advanced oropharyngeal cancer and it could lead to tumor seeding. We introduced a simple technique in placing a PEG tube of which is not contaminated to the cancerous area. Method: The catheter was inserted through a 5 mm trocar that was introduced directly into the gastric lumen under gastroscopic guidance. 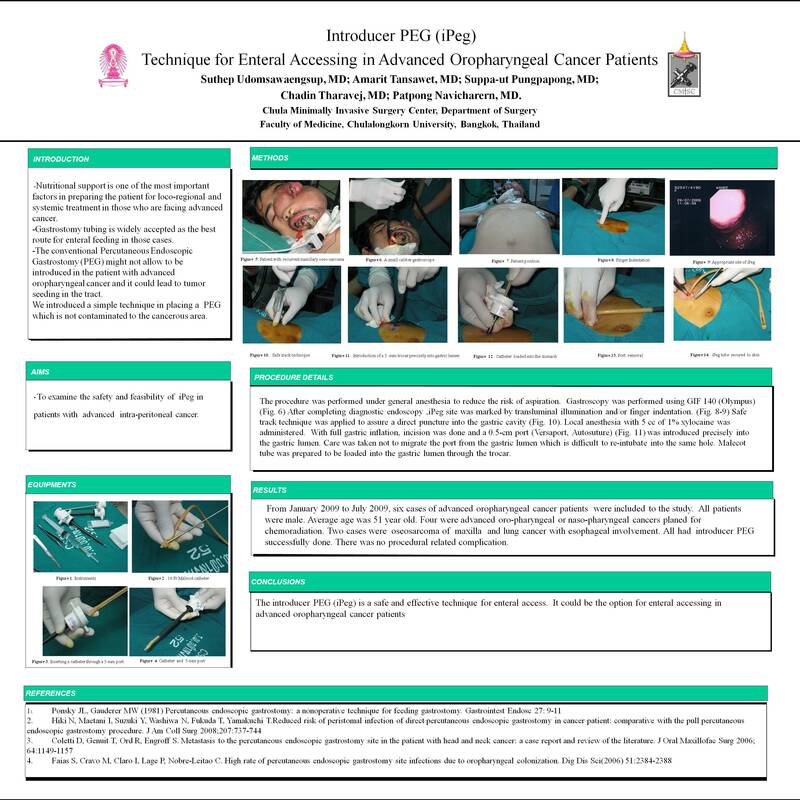 Results: From January 2009 to September 2009, seven cases of advanced oropharyngeal cancer patients had the introducer PEG successfully done. There was no procedural related complication.